Measurements as well as model calculations equally show that the oxygen inventory of the oceans is decreasing. However, the models underestimate this decrease significantly making projections into the future problematic. In a study published today in the international journal Nature Geoscience, four GEOMAR researchers reveal the gaps in the models and identify previously underestimated drivers for the deoxygenation. The oceans are losing oxygen. Numerous studies at local, regional and global level confirm this trend. For example, a comprehensive data analysis published by Kiel oceanographers at the beginning of 2017 has shown that the oceans have lost two percent of their oxygen content worldwide in the past 50 years. Computer models of the oceans and the Earth system also show this trend and predict an even faster decrease in the future. But the models have a problem. "They are not able to reproduce the recent oxygen decline exactly. Instead, they significantly underestimate the observed oxygen loss," says Prof. Dr. Andreas Oschlies from the GEOMAR Helmholtz Centre for Ocean Research Kiel. This mismatch makes projections into the future more problematic. Today, Professor Oschlies together with his colleagues Prof. Dr. Peter Brandt, Dr. Lothar Stramma and Dr. Sunke Schmidtko, all from GEOMAR, have published a study in the international journal Nature Gesoscience, which shows deficiencies of the models and also identifies drivers of deoxygenation that have been underestimated so far. "The comparison with our observation data reveals various inadequacies of the models and gives us indications in which direction we must concentrate our research efforts," says co-author Peter Brandt. It is certain that global warming is the main cause of marine oxygen loss. But warming affects the ocean in several ways. Among other things, it influences the solubility of oxygen in the water. The warmer the water, the less gas it can take up. "This process mainly affects the uppermost layers of water, which are in direct contact with the atmosphere," explains Dr. Schmidtko. This effect can explain up to 20 percent of the deoxygenation so far, and is well represented in the models. But warming also changes patterns of global ocean circulation. 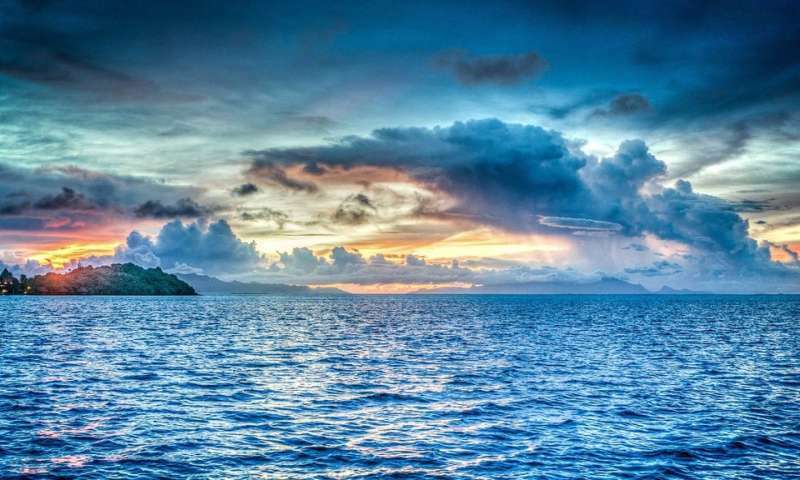 Since the complex system of surface and deep currents supplies oxygen to the deeper ocean, these changes can affect the oxygen content throughout the ocean. "Many models have problems describing this effect realistically, because transport processes are often not resolved well enough or reproduced incorrectly," says co-author Dr. Lothar Stramma. The extremely complicated interactions between biological, chemical and physical processes in the ocean are also insufficiently represented in current models. "We often lack the data or the knowledge about many processes that interact in the ocean's response to global warming," says Andreas Oschlies, who specializes in the modeling of biogeochemical processes. "Our study shows that previous models significantly underestimate the effects of this interaction, at least on the oxygen distribution."